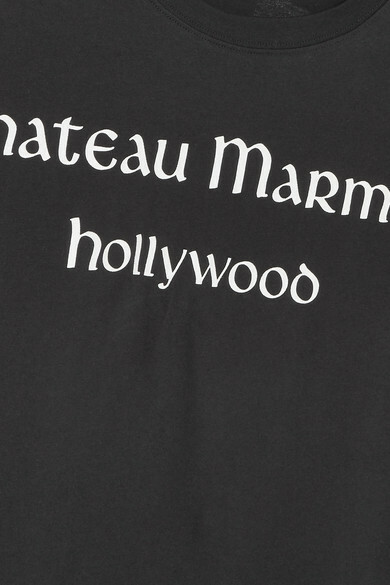 Alessandro Michele pays homage to LA's Chateau Marmont in Gucci's Spring '19 collection - it's one of his favorite places to get dinner in Hollywood. 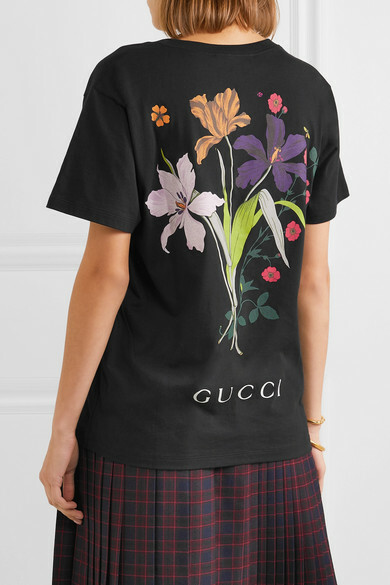 Made in Italy from breathable cotton-jersey, this T-shirt is printed with the Sunset Boulevard landmark's name and turns to reveal a vivid floral motif. 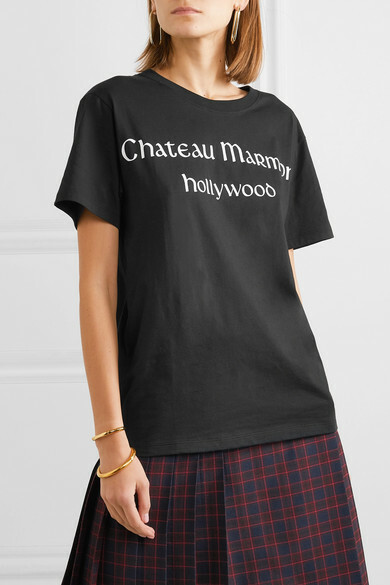 The emblem sits on the chest, so you can tuck it into high-waisted skirts without covering it up. 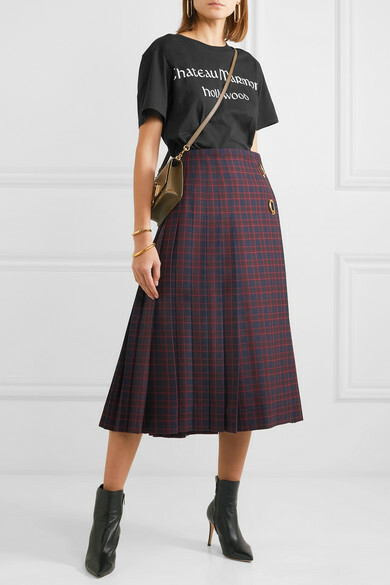 Shown here with: Burberry Skirt, JW Anderson Shoulder bag, Gianvito Rossi Ankle boots, Sophie Buhai Cuff, Jennifer Fisher Earrings.